Buckcherry frontman Josh Todd says the band have completed about half of their upcoming seventh album. The follow-up to 2013’s “Confessions” will be released on the group’s own label, F Bomb Records. "We're finishing up our LP right now, our seventh LP, which will come out this year, first quarter,” Todd tells All Access Live. “We've got about half of it done, and we're gonna just tighten it up, and then we're gonna start touring full-time again, like, end of March." 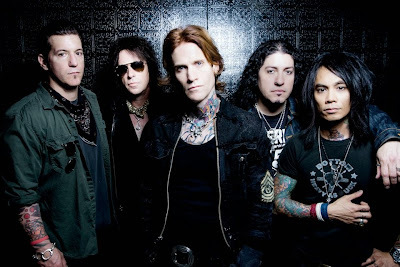 Buckcherry played a series of live dates in Western Canada last month and just performed on the Shiprocked cruise. The band play the Vampark Festival in Tokyo on February 19 and then begin US dates March 27 in Scottsdale, Arizona.